After reuniting with Temple, you've reassured her of your love. Your relationship with her is stronger than ever. Unable to rekindle the romance you once had, you decided to end your relationship with Temple. 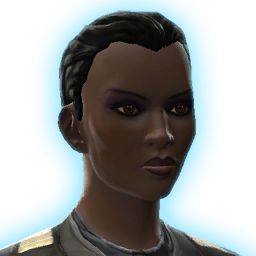 After working with the Chiss Ascendancy and the Chiss Expansionary Defense Force, Raina Temple has joined your Alliance. After attempting to rekindle your romance, you decided ultimately to end your relationship.